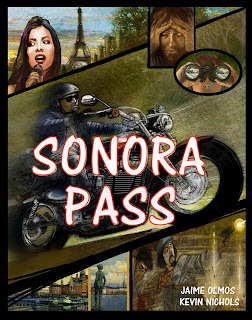 SONORA PASS is an action packed murder mystery taking place in Montreal, Vermont, California and Central America. Members of a band hold a reunion for their friends and fans. Following a wildly successful reunion party, the singer in the band is found dead. Private Investigator Jonah follows a trail leading to a troubled revolutionary past in Central America.